Ms Julie-Anne Schafer (Chairperson) has experience in diverse and highly regulated sectors including financial services, infrastructure, member service, health and transport. She has ASX, unlisted public company, government and advisory experience with associated governance, committee, risk management, strategy, customer facing and stakeholder engagement experience, with some international exposure. Ms Schafer has served as Chair of RACQ Insurance, and on the boards of two other insurers, the Territory Insurance Office in the Northern Territory and Catholic Church Insurance. She is a director of a superannuation company, Av Super, and is President of the National Competition Council. Ms Schafer led a large diversified mutual, RACQ (1.1 million members), the Queensland Law Society and the Solicitors’ Board of Queensland. She was Deputy Chancellor of QUT, an Adjunct Professor in law at the University of Queensland and a member of Law Faculty Advisory Committees at Griffith and Bond Universities, QUT and the University of Queensland. Her Committee experience includes Audit Risk and Compliance, Investment, People, Remuneration and Nomination, Governance and Organisational Performance. Mr Michael Willis (Deputy Chairperson) is a board chair and company director, with over 25 years of governance experience in industry, financial services and the non-profit sector. He currently chairs the boards of West Moreton Hospital and Health Service and Boyce Chartered Accountants, Australia’s largest regionally based accounting firm. Mr Willis has also undertaken several financial roles that have involved management of long-term liabilities. He is a corporate governance consultant, advising clients ranging from large ASX-listed companies to small charities. His prior career includes management and leadership roles, ranging from investment banking to non-profit organisations in the health and education sectors. As a former National President of the Securities Institute of Australia (now FINSIA), he led their involvement in developing the initial ASX Corporate Governance Principle in 2002. Ms Lesley Anderson (Member) has two decades of experience with motor accident compensation schemes, in both common law and no-fault regime. In addition, Ms Anderson held the position of Motor Accident Insurance Commissioner for 11 years during which time she held responsibility for the regulation of Queensland’s private sector personal injury motor accident insurance scheme. As an economist with broad experience in government policy and regulation, Ms Anderson developed analytical skills of the highest order demonstrated in executive and governance roles over four decades in banking, Treasury, insurance, superannuation, ports corporation and not-for-profit organisations. Ms Anderson also has experience serving on Audit and Risk Committees. Ms Anderson was appointed to the board of the Queensland Building and Construction Commission on 1 December 2016 and is a member of its Home Warranty Insurance Committee. Dr Scott Davis (Member) has more than 20 years in senior executive management roles within the health, education, community services and research sectors both internationally and within Australia. Dr Davis recently stepped down as the Chief Executive of the Greater Northern Australia Regional Training Network, an Australian Health Ministers Advisory Council Network supported initiative, to continue his work on improving social, economic and health outcomes in regional Australia. Dr Davis is currently with the Cairns Institute (James Cook University) leading an international capacity building project in Papua New Guinea. Dr Davis currently holds the positions of Non-Executive Director, Torres Strait and Cape Hospital and Health Service Board – Queensland Health including the role of Chair of the Quality and Safety Committee, Non-Executive Director, Regional Development Association – Torres Straits and Far North Queensland, Jobs Queensland – Member, Non-Executive Director, Enterprise Management Group Pty Ltd, as well as number of roles locally within the Cairns community in the Not for Profit sector. Ms Michelle Morton (Member) has experience in the administration of hospital services, financial management and organisation as well as risk management, regulatory compliance, corporate and public sector governance. Ms Morton is a Managing Partner of a law firm and holds several board positions including Deputy Chair of the Townsville Hospital and Health Service, Deputy Chair of the Townsville Hospital and Health Services Executive Committee, Chair of the Townsville Hospital and Health Services Finance Committee, Chair of the Townsville Fire and member of the Advisory Board for the Salvation Army. Mr Rowan Ward (Member) has gained significant knowledge and experience in long tail classes of business including compulsory third party schemes in Queensland and New South Wales and workers compensation business. His actuarial roles necessitated involvement in liability assessment, risk based pricing, risk management, profitability analysis, capital management, reinsurance assessment and investment of assets backing liabilities. Mr Ward also holds actuarial qualifications and circa 20 years of experience as an Approved Actuary reporting to Boards. Mr Ward is a Non-Executive Director of LFI Pty Ltd, Integrity Life Australia Limited and Qinsure Limited, all APRA regulated companies in the financial services sector. He is also a Member of the Advisory Committee of the Motor Accident Insurance Commission of Queensland. Dr Susan Young (Member) has extensive experience in the private and public health care sectors, the education sector and within professional regulatory bodies. Dr Young is a community member and former Chair of the Queensland Board of the Medical Board of Australia, a member of the Agency Management Committee of the Australian Health Practitioner Regulation Agency (AHPRA), and has also held a number of executive positions within the public and private health care sectors in metropolitan, regional and rural setting. These positions were preceded by an extensive period of clinical practice. 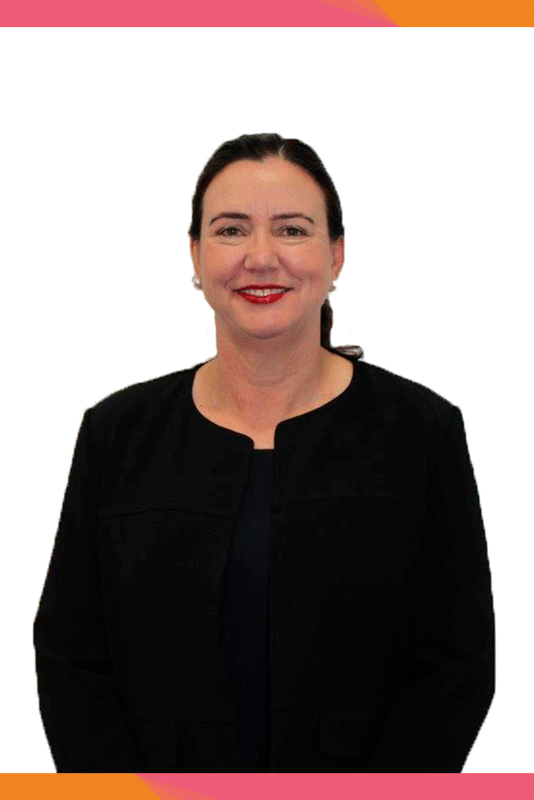 Dr Young has also gained considerable experience in functioning within an independent statutory authority, previously holding a ministerial appointment as the Chairperson of the previous Queensland Nursing Council (QNC). Her committee experience includes Regulatory Performance and Compliance, Quality and Safety, and Governance and Organisational Performance.